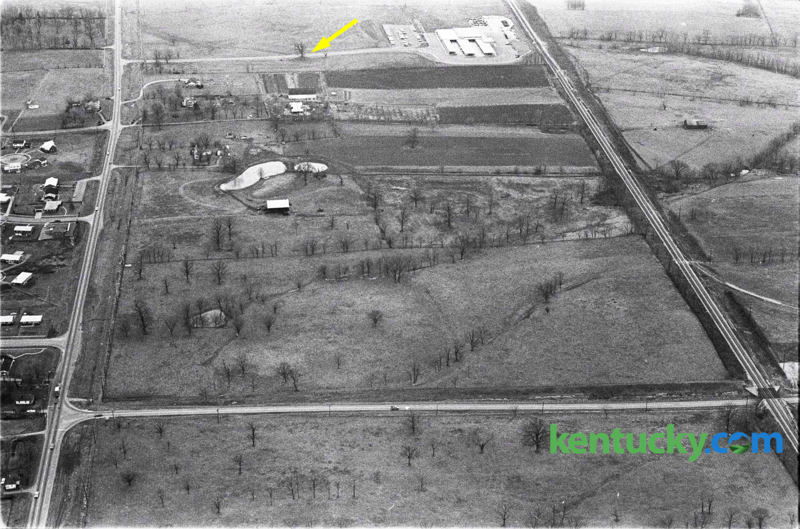 The Lexington Herald-Leader published this aerial photograph of the future Fayette Mall in 1967. The photo clearly shows and extensive woodland pasture, with a mix of large, old trees and smaller hedgerow trees. Today, only a single tree, the Tiverton Oak, remains of this woodland pasture. Fayette County has lost a tremendous number of trees to development. 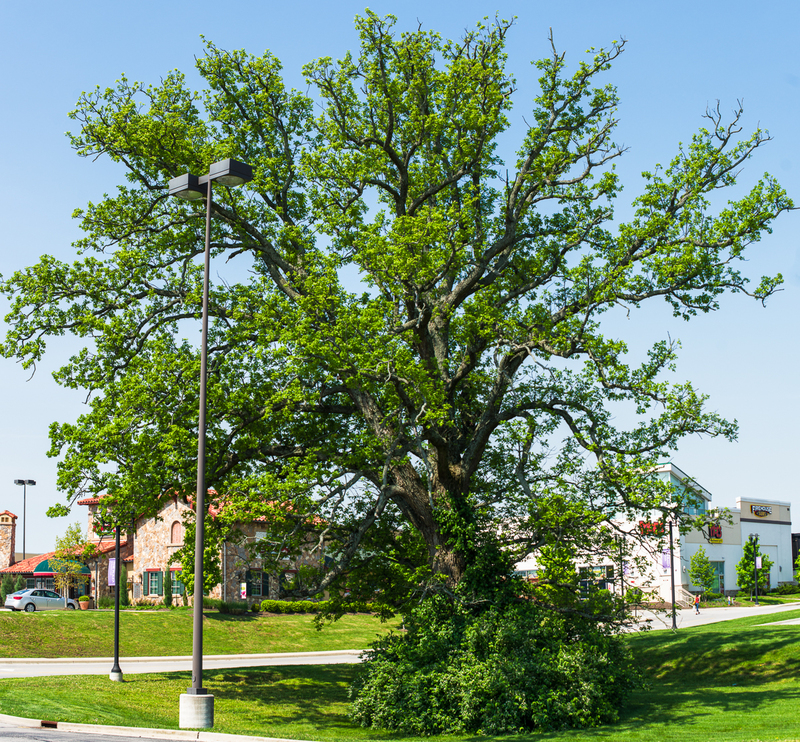 We found that over 90% of bur oaks have disappeared from Fayette County in the last 60 years (see Venerable Trees: History, Biology and Conservation in the Bluegrass). Today, our efforts are focused on preserving the current Urban Service Boundary of Fayette County. If we are to avoid further loss of our ancient trees and precious ecosystem, we need to continue to focus development on infill and redevelopment inside the current development boundary. The next Venerable Trees Field Course, on Saturday February 4, will address the issues of urban/rural boundaries and development. Posted in News and tagged History, Venerable Trees, woodland pastures.